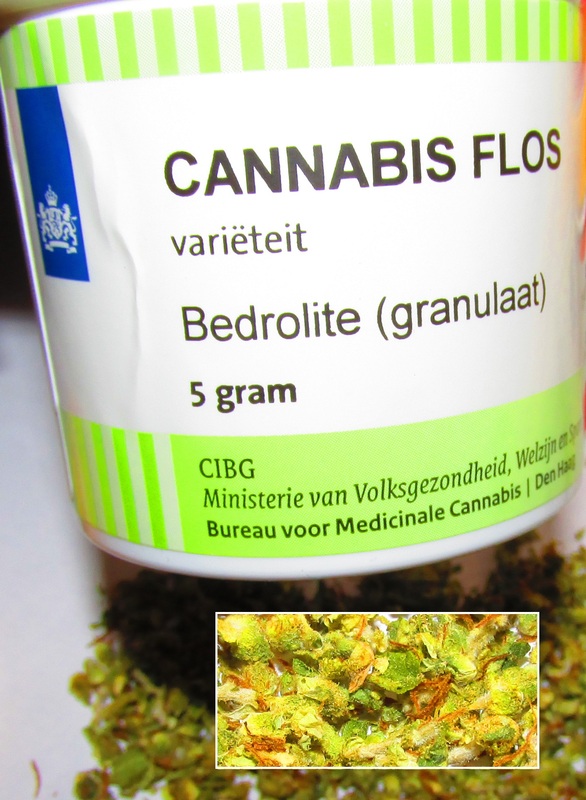 A new cannabis variety with around 9% CBD and 1% (or lower) THC has been approved for sale in Dutch Pharmacies. The 'CBD-only’ variety is called Bedrolite and is expected to be popular with medical patients needing help with anti-epileptic medicine, muscle relaxation and anti-inflammatory relief. Although childrens medicine is not specifically mentioned in the press information it is quite likely that many people will be interested in the Colorado cannabis work which has shown remarkable benefits of ‘CBD-only’ varieties with children suffering e.g. Dravets Syndrome. Perhaps we will see European parents of Dravets patients trying to access Bedrolite in order to prepare their own ‘Charlottes Web’ style tinctures for their children. And we are sure that many adult medical cannabis users will also be interested to see if Bedrolite can help with their conditions. The Dutch Government has now approved several different medical cannabis varieties, some indica rich, some CBD rich, some THC-rich. Its a great example to other European Governments, Dutch Passion hope that full European-wide access to these medicines is not too far away. Just so long as it has been achieved with traditional, selective breeding methods. We must say no to GMO. I am very curious to see what the high is like when smoked? I love the idea of using nature as medecine! As long as Monsanto and George Soros has no part of this it is just what my wife and the rest of the worlds Epileptics needs!